Russia has been unable to enlist the support of the World Trade Organization in contesting Western sanctions, says Russia's representative to the EU Vladimir Chizhov. Russian companies that are included on the sanctions list are now preparing to argue their case in European courts. 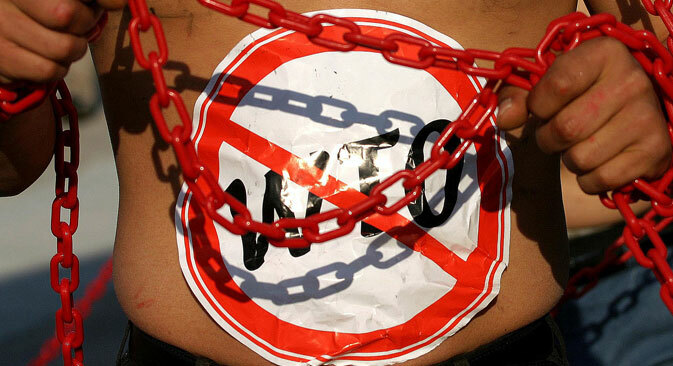 Russia has been unable to obtain the support of the World Trade Organization (WTO) in contesting the sanctions that the EU and the U.S. imposed against Russia in 2014 in response to its takeover of Crimea and alleged participation in the conflict in eastern Ukraine. The announcement was made by Russia's representative to the EU Vladimir Chizhov in St. Petersburg on May 28 during the Petersburg International Legal Forum. Russia had vowed to appeal to the WTO against the imposition of the sanctions in the fall of 2014, with Russian President Vladimir Putin alleging that the economic measures violated the principles of the WTO. According to Chizhov, the sanctions will now be contested in European courts with the help of international lawyers: "Such measures are not only illegal, but are a violation of a country's national sovereignty, as well as a blow to the UN's authority," he said. Chizhov pointed out that lawsuits at the European Union Court have already been filed by companies such as oil behemoth Rosneft, the Sberbank, VTB and VEB state banks, and the Almaz-Antei armament concern, as well as by Russian businessman Arkady Rotenberg. Sectoral sanctions are the first to have had a noticeable effect on the Russian economy, with the greatest impact coming from the EU's financial sanctions, which prohibit a number of Russian companies from obtaining credit in Europe for a period over 30 days. However, Chizhov claims that EU countries are also suffering from the sanctions: “Anti-Russian sanctions could cost Germany up to 25,000 jobs, and in the event of their long-term continuation, Germany will be threatened with a 0.5-percent loss in GDP,” he said. U.S. sanctions, on the other hand, are proving to be more detrimental. According to Squire Patton Boggs partner Joseph Brand, in the U.S. the unilateral sanctions are based on the principle of extraterritoriality, that is, they not only affect American players, but also all those who work in the American market. As Brand points out, any company that uses the American dollar as a form of payment automatically falls under American jurisdiction. Kazem Gharib Abadi, deputy general secretary of the High Council on Human Rights of Iran, said that Tehran has experience contesting U.S. and EU sanctions in court. "There are two categories of sanctions: international – those that are established by the UN Security Council, and unilateral sanctions, which go beyond the framework of the UN's decision," explained Gharib. In Gharib's view, unilateral sanctions contradict the UN Charter. However, Konstantin Dolgov, authorized representative of the Russian Foreign Ministry, remarked that the UN Charter does not directly mention that unilateral sanctions contradict it. "The problem is that political and geopolitical agendas form the international juridical reality," said Dolgov. Furthermore, according to Andrei Klishas, Chairman of the Committee of the Russian Federation Council on Constitutional Legislation, the principle of extraterritoriality contradicts international regulations. In particular, Klishas claimed that just because someone uses the U.S. dollar it does not mean that they should automatically fall under American jurisdiction. “We do not believe that those who use Russian gas, for example, fall under our jurisdiction,” said Klishas, who is on the EU's 2014 sanctions list. According to Klishas, the only reason he was placed on the list is related to his "speeches in the Russian Duma [parliament], which, according to the EU, undermine government order in Ukraine."